Is Facebook Live a serious threat to broadcast television? Some say the social giant's new platform could be a nail in the coffin of TV, Gideon Spanier writes. Facebook is aggressively pushing its live video platform, Facebook Live, in its relentless quest to boost ad revenue. The social media giant is said to have footed the bill for a number of online news sites, including Business Insider and BuzzFeed, to use the platform in recent months in an attempt to generate buzz. Mark Zuckerberg, Facebook’s founder and chief executive, has made clear that he sees video as the next big opportunity. "Live is like having a TV camera in your pocket," he said when he launched the service earlier this year. "Anyone with a phone now has the power to broadcast to anyone in the world." His thinly veiled message is that Facebook Live can be more than a match for traditional TV broadcasters. And, given Zuckerberg’s track record of disrupting publishers, his vision looks to be a serious threat, according to Andy Pemberton, director at brand consultancy Furthr. "Facebook Live is a nail in the coffin of broadcast TV," he wrote in Campaign recently, pointing to how July’s Minnesota police shooting and the US political party conventions attracted millions of views. 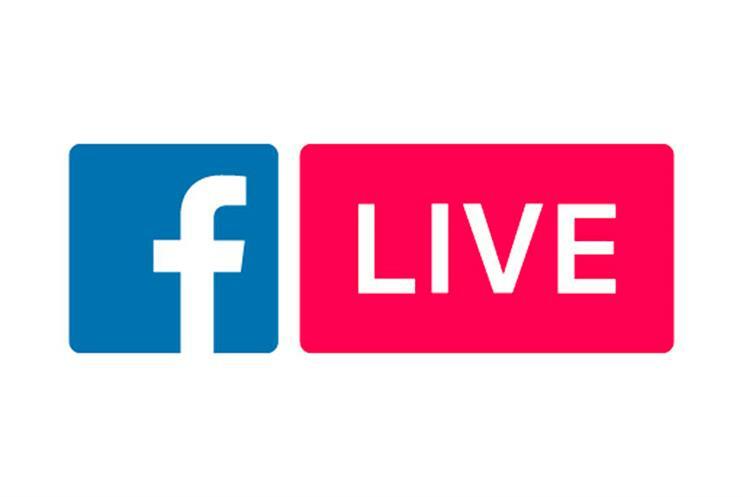 Chris Gorell Barnes, co-founder and chief executive of Adjust Your Set, agrees that Facebook Live and other live-streaming platforms could be highly disruptive but argues they may not kill off broadcasters. "Facebook Live is more likely to compete with Snapchat and YouTube in the pure news arena for attention and, if they start crossing over to commission their own shows, then they will start to compete with the likes of Netflix and Amazon," he says. Rachel Bristow, director of partnerships at Sky Media, points out that Facebook Live and other streaming services can complement linear TV, and Sky has been keen to experiment. For example, Carling In Off The Bar, a live Friday-night, post-match football show for millennials that was brokered by Havas Sport & Entertainment Cake with creative direction from Creature, airs on Sky Sports TV channel and Facebook Live simultaneously as well as on YouTube. TV still has unrivalled reach and high production values that most online platforms can only dream of. That is why Virgin Holidays booked a spot during The X Factor last Saturday for an ambitious live ad that featured feeds from 18 locations around the world. That said, it would be a mistake to dismiss Facebook Live outright given that many production companies are starting to use the platform to create content for brands. Indeed, Virgin Holidays’ ad was streamed on Facebook Live. "The video economy is broader than ever. However, research shows broadcaster content, irrespective of platform, drives better advertising ROI. Facebook Live is a welcome addition, complementing TV but not replacing it." "Broadcast TV is not dying, it is just morphing into something else. Its position at the top of the content tree, however, is definitely dead. If the Facebook Live algorithm is good, and it actually serves you live content that you really care about, it will do well." "Most broadcasters now offer high-quality video-on-demand services alongside their linear channels but, again and again, viewers watch the big shows on the big screen. The proliferation of new technology has only amplified the TV viewing experience." "From a brand perspective, TV and Facebook Live complement each other. Marketers and creatives want huge TV impact by reaching millions with one ad, but Facebook Live offers more creative opportunities. Why limit yourself to one platform?" Is Burberry's first Facebook Live catwalk show just 'fashion spam'?